The stomach secretes juices including hydrochloric acid (HCL) and an enzyme called pepsin. The acid kills bacteria that cause illness and provides an environment that allows pepsin to digest protein. This acid would destroy the lining of the stomach were it not for the layer of mucus that protects the stomach wall. Having either too much or too little gastric acid can contribute to various forms of digestive problems and stomach aches. Hypochlorhydria can contribute to health problems beyond the immediate symptoms, according to Aim 4 Health. First, HCL's corrosive effect on bad bacteria prevents the three pounds of bacteria that thrive in the colon from migrating up into the small intestine. Once in the small intestine, the bad bacteria can cause inflammation and disrupt digestion, reducing the absorption of nutrition from food we consume. Second, poorly digested foods linger in the digestive tract. Large food molecules seep through the inflamed intestine into the blood stream, where they are attacked by the immune system, which mistakes the molecules as invaders. It is estimated that as many as 80 percent of people who suffer from food allergies have hypochlorhydria, according to Food Allergies. Third, the lingering presence of partially digested food in the digestive system encourages the overgrowth of bad bacteria, potentially contributing to an imbalance of bad to good bacteria and associated health problems including food allergies, food sensitivities, inflammatory bowel disease and irritable bowel syndrome, according to author Elizabeth Lipski in her book "Digestive Wellness." Dyspepsia, a feeling of discomfort in the middle to upper part of the stomach, affects one in four people, according to FamilyDoctor.org. Symptoms, which are highly similar to the symptoms of hypochlorhydria, can include burning stomach pain, heartburn, bloating, burping, upset stomach, nausea and vomiting. The causes of dyspepsia include acid reflux or stomach ulcers, both of which can result from too much stomach acid. Acid reflux, commonly called heartburn, occurs when the lower esophageal sphincter (LES) malfunctions. The LES is a muscle that encircles the lower esophagus. It relaxes to allow food to pass through the esophagus into the stomach and then closes to keep acids and food in the stomach. When the LES malfunctions, stomach acid can rise into the esophagus and into the throat, causing discomfort and contributing to the deterioration of the esophageal wall and throat. Acid reflux is caused by an excess of stomach acid and by problems in the regulation of the LES. A stomach ulcer, also referred to as a peptic ulcer, is a small hole or lesion in the mucosal lining of the stomach. A duodenal ulcer is a lesion that occurs is the first foot of the small intestine below the stomach. The direct cause of ulcers is the destruction of cell tissues by hydrochloric acid. The most prominent symptom of stomach ulcers is pain that presents as heartburn, indigestion or hunger. Unfortunately, symptoms of underproduction and overproduction of stomach acid are similar. 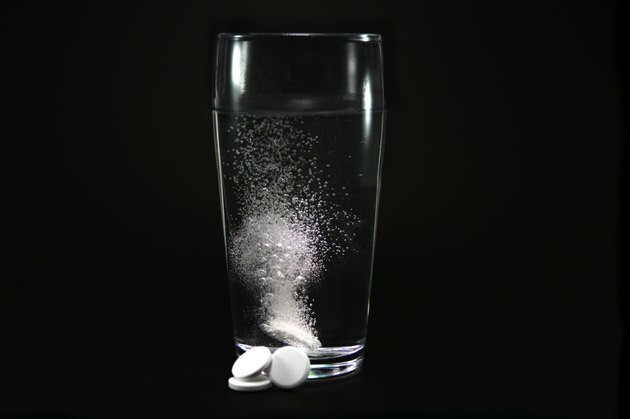 Because antacids are widely available and heavily promoted by the pharmaceutical industry, many people who seek help for stomach aches end up getting prescriptions for antacids, even if their stomach problems are related to underproduction of hydrochloric acid. The best strategy to determine the cause of your stomach pain is to ask your physician for a Heidelberg test. This measures the production of gastric HCL, and will aid in the diagnosis of your problem.